Not everyone can write every day at 5am, and that’s totally okay. One-size-fits-all writing advice doesn’t work for anyone. 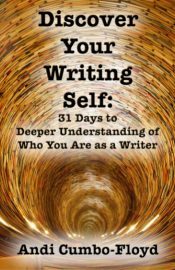 In Discover Your Writing Self, you’ll find 31 lessons to help you think through who YOU are as writer. Through shorts essays and questions, you will explore everything from the fears you have as a writer and your reasons for writing to the best times of the day and year and the ideal environment for your writing practice. In these pages, you’ll find no “shoulds” and no shame. Instead, Andi will walk you through honest queries and encouragement designed to help YOU be the best writer YOU can be at this time in your life. If you feel overwhelmed or confused by all the writing advice out there, this book will help you sort through it in a way that is authentic and genuine for you. It’s not an easy thing to take time to write. The world says that writing doesn’t matter much. Our families and jobs need us. We have to make money. The ugly voices in our head tell us we’re not good enough. There are a ton of reasons why we choose to not write. . . and yet, if we are writers, we must find a way to the page. Over and over again. Often one of the hardest things for writers is allowing ourselves the time and space to write when so many other obligations fill our time. Writing Day in and Day Out is a book for writers who would like to find that time and space and build a practice of writing in their daily lives. 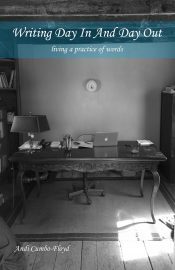 In this intimate volume, I tell about my own writing practice, shares suggestions – but never rules – for how you might find a way to more words in your daily life, and offer encouragement for the days when writing seems to be too far away or too painful. The book is available on Kobo, Barnes & Noble, iBooks, and Amazon. This brief volumes sets out my vision for the ten-acre farm I own at the edge of the Blue Ridge Mountains. In this book, I describe the principles I’d like to practice in this place, where we value art and rest and dinner together every night. You can get a copy at Kobo, iBooks, Barnes & Noble, or Amazon. 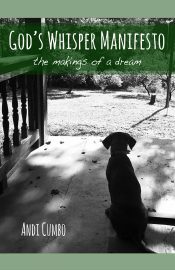 I hope you love it, and I hope you’ll come visit God’s Whisper Farm. When Mary Steele mysteriously finds herself in an old cemetery down the road from her house in a tiny mountain town, she’s not concerned. She’s not even frightened when a ghost named Moses approaches her or when she has to stand-off against a bulldozer. But when her inquiries into the history of the cemetery and the people buried there begin to draw out the worst in the members of her community, Mary begins to be afraid. Will she be able to recover history while keeping the people she loves safe? Charged with caring for their stories, Mary must face her fears to piece together what happened to these 13 souls. As she encounters resistance and prejudice, the teen learns that it sometimes takes more than a little courage to change the world. Can Mary save the school and its ghostly inhabitants before it’s too late? Charlotte and the Twelve is historical fiction for adults and young adults alike. If you like richly researched history, inspiring characters, and sensitive explorations of our cultural past, then you’ll love the first book of the Mary Steele series from Andi Cumbo-Floyd. A lynching. A ghost. A town in turmoil. Finding the body of a lynched woman isn’t on Mary Steele’s after- school agenda. When the spirited, bookish teen meets the woman’s dead teenage daughter, she discovers a secret that includes the town’s mayor and a very special 94-year-old woman. Now, Mary has to find the secret and the strength to let them be free . . .
Not long ago, most white American Christians believed that Jesus blessed slavery. God wasn’t bothered by Jim Crow. Baby Jesus had white skin. Meet Plantation Jesus: a god who is comfortable with bigotry, and an idol that distorts the message of the real Savior. That false image of God is dead, right? Wrong, argue the authors of Plantation Jesus, an authoritative new book on one of the most urgent issues of our day. Through their shared passion for Jesus Christ and with an unblinking look at history, church, and pop culture, authors Skot Welch and Rick Wilson detail the manifold ways that racism damages the church’s witness. 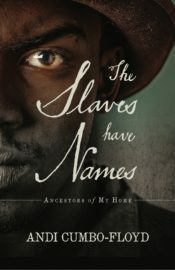 This book tells the story of the 246 people who were enslaved on the plantation where I was raised. The book is creative nonfiction and, thus, combines history and my imagination to try and create portraits of these amazing people while I also try to be transparent about my experience of doing this research and telling these stories. To learn more about this book, watch a video about the stories told there, and see pictures of some of the places on these plantations, please visit this page. You can get a copy at IndieBound, Amazon, Kobo, iBooks, or Barnes & Noble. Or if you’d like a signed copy, please order on this page, and I’ll gladly sign one for you. Thanks for your interest.